Ed Davis is a West Virginia native who recently retired from teaching writing full-time at Sinclair Community College in Dayton, Ohio. He has also taught both fiction and poetry at the Antioch Writers’ Workshop and is the author of the novels I Was So Much Older Then (Disc-Us Books, 2001) and The Measure of Everything (Plain View Press, 2005); four poetry chapbooks; and many published stories and poems in anthologies and journals such as Wild, Sweet Notes: Fifty Years of West Virginia Poetry, 1950-1999. 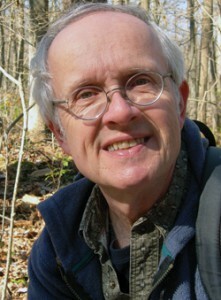 He lives with his wife and cats in the bucolic village of Yellow Springs, Ohio, where he writes, bikes, hikes and blogs on mostly literary topics at www.davised.com. 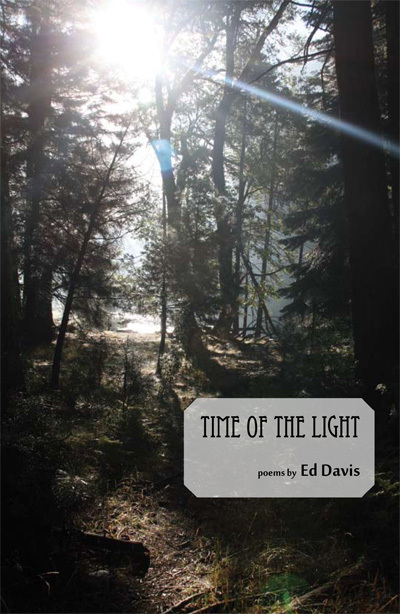 Ed Davis’s down-to -earth poems often pit the mundane against the power of art. In “Dawn Singer in a College Bathroom,” the speaker sits anonymously in a stall, listens to a singer at the sink and finds himself falling short– “convicted by his (the singer’s) sweet testimony of being a prose-droning,/poetry less Standard English hack.” The song bounces off porcelain walls, sung by a kid “boogying to music leached up from the gut by the soul’s thirsty roots.” This poem, at the heart of Davis’s collection, tells us what he wants his work to do for us– and what his work expects from him. 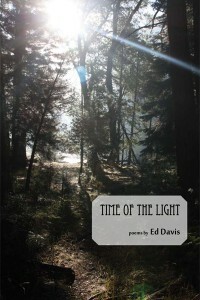 Ed Davis’ poems can “fix flats, tie flies, tell lies with a granite face.” They “schmooze, razz, tsk and grin” and sometimes watch him “worse than God.” These poems show how an Appalachian boy becomes a man with memories as simple as “Schlitz, Chevies, and Slim Jims.” Davis has the gift for creating the rolling list, a catalog of details that lifts his stories off the page and into memory. He describes his own hands as “scarred, scabbed, scored and worn,” tools that perform tasks “too numerous and terrible to name.” He writes odes to boots, beets, and crows with an ear tuned so carefully to dialect that no one doubts its authenticity. But, beneath that rich, rolling tender language there is a toughness, a trust in humanity even when “age comes unbidden” and it’s time to park the Harley and walk. tell lies with a granite face. to let in light, dust and dreams. Elvis on a velvet Vegas stage. lost and found Jesus a thousand times. like spinsters behind their hands. my bed too heartsick to sleep. buried deep on cemetery ridges. at others, utterly useless fools. of the devil’s handiwork she had in mind. held up, held on, held down, held out. tasks too numerous and terrible to name. who aged while I forgot to watch. rise to punctuate one last point? energy rises to meet them. then I’ll wait and watch.